Malaria still remains one of the leading deadliest diseases throughout the world, leading to around 1 million deaths annually. The emergence and spread of growing resistance to the firstline antimalarials are an alarming the serious problem in malaria control, demanding the need for new drugs more potent than earlier with improved Absorption, Distribution, Metabolism, and Excretion (ADME) profiles. Coumarins, which exhibited various biological properties, also displayed potential in vitro antiplasmodial and in vivo antimalarial activities. Moreover, many of coumarin derivatives have already been used in clinical practice for the treatment of several diseases. Therefore, coumarin derivatives play a pivotal role in medicinal chemistry, also making them promising candidates for the treatment of malaria. This review aims to summarize the recent advances made towards the development of coumarin-containing derivatives as antiplasmodial and antimalarial agents and their structure-activity relationship is also discussed. Keywords: Malaria, plasmodium, coumarin, hybrid compounds, structure-activity relationship, antiplasmodial. Keywords:Malaria, plasmodium, coumarin, hybrid compounds, structure-activity relationship, antiplasmodial. Abstract:Malaria still remains one of the leading deadliest diseases throughout the world, leading to around 1 million deaths annually. The emergence and spread of growing resistance to the firstline antimalarials are an alarming the serious problem in malaria control, demanding the need for new drugs more potent than earlier with improved Absorption, Distribution, Metabolism, and Excretion (ADME) profiles. 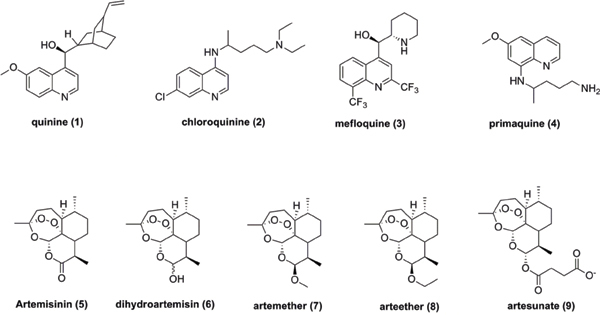 Coumarins, which exhibited various biological properties, also displayed potential in vitro antiplasmodial and in vivo antimalarial activities. Moreover, many of coumarin derivatives have already been used in clinical practice for the treatment of several diseases. Therefore, coumarin derivatives play a pivotal role in medicinal chemistry, also making them promising candidates for the treatment of malaria. This review aims to summarize the recent advances made towards the development of coumarin-containing derivatives as antiplasmodial and antimalarial agents and their structure-activity relationship is also discussed.